Contact your local VFW Post to participate. The State winners will be honored at the Awards Banquet at the Mid-Winter meeting in Macon on Saturday, February 17, 2018. 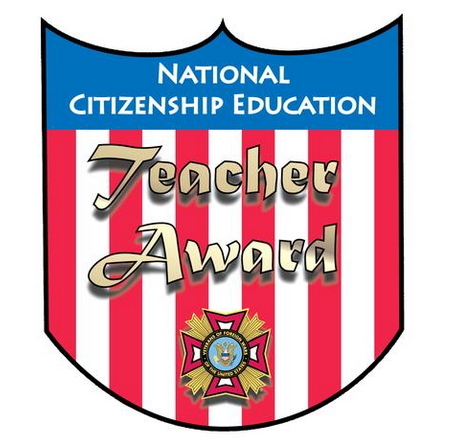 Elementary, Junior High, and High School teachers who teach citizenship education topics, regularly teaching (at least half of the school day in a classroom environment), and promote America's history, traditions and institutions effectively. Nominations can be submitted by fellow teachers, supervisors, or other interested individuals. Self-nominees are not eligible. Full Rules and Eligibility Information.